The yearly cycle can easily be divided up into four parts (the Quarter Days) of Winter Solstice, Spring Equinox, Summer Solstice, and Autumnal Equinox. 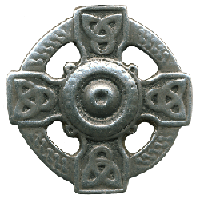 The Celts then divided these four parts in to eight, by placing major holy days roughly half the number of days between these Quarter Days. These are the Cross-Quarter Days of Samhain, Imbolc, Beltane and Lughnasad. This section discusses each of these eight days in detail discussing their timing and possible meanings and uses. Having divided the year up in to eight, it is then possible to divide the year up into sixteen. There is absolutely no evidence that the Celts did this, but I have been working on these Sixteenth Days and found some very interesting correspondences. It is my intent that these days give you more reasons to celebrate the turning of the year.